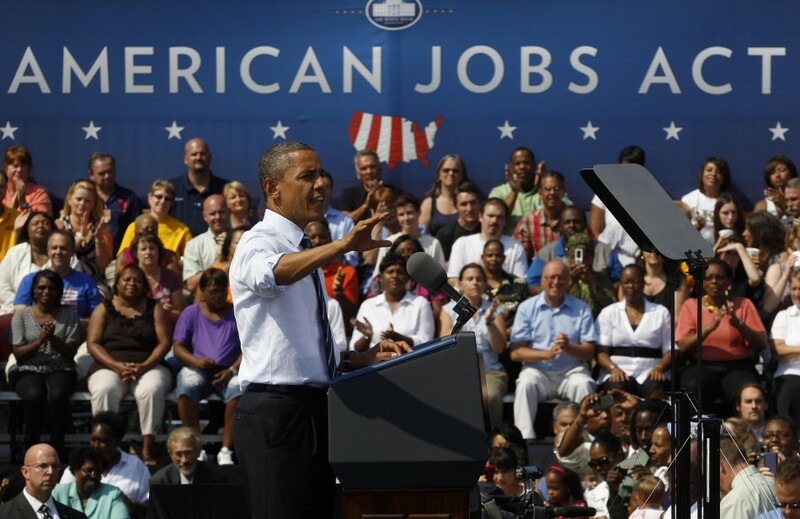 The American Jobs Act is 155 pages of pedestrian ideas. President Obama has implored Congress to “Pass this bill!” so many times that the National Journal issued a catchy musical remix. No amount of sloganeering is going to put a dent in unemployment — the White House itself anticipates the rate of joblessness to hover around 9 percent through next year’s election. With the exception of “The Godfather,” sequels are always cheesier than the original. This Round II of federal “investment” looks to be a watered-down $447 billion bundle. Fictitiously, the AJA won’t add a drop to the deficit. Supporters claim it will pay for itself by sealing “corporate tax loopholes” and forcing wealthy Americans to step up to the plate. The AJA, like the original stimulus of 2009, is pure clutter. Take the bill’s Section IV, for example. It demands that public works projects “Buy American,” regardless of cost. The measure resurrects the bad taste of the 1931 Davis-Bacon Act. At the apex of the Great Depression, Congress mandated a union-sponsored wage for government positions. Indeed, the law was unabashedly aimed at preventing “itinerant colored workers” from the South from competing with white, industrial Northerners. Today, the odious racial motivations are thankfully gone, but the loopy economics persist. Maybe I’m behind the times, but I like paying the best price possible for goods. Some of those goods might be American, and many won’t be. The Obama Administration can jump through excessive hoops trying to justify that higher wages give workers more spending power to boost demand in the market place. This is true, but when higher wages stem from the government and not the private sector, increased cash flow for Peter means constrained income for Paul. Another example in nonsense is the Act’s Section 101-102, which offers temporary tax cuts for employers who add workers to their payrolls in the coming months. At first, this sounds like a reasonable incentive to make tax-cut junkies like me happy. But no employer is going to take on the responsibility of more employees for a nominal payroll reduction. Assuming we’re talking about “good middle class” jobs here, what firm on Planet Earth would offer an employee a salary of $50,000, health benefits and vacation time for a one-time hiring break? Firms that were going to hire workers anyway, that’s who. The President’s basic theory of employment is backward. If I ever get around to fulfilling my third-grade dream of setting up a lucrative lemonade stand, make it past the Board of Health and hire some earnest neighbors, it’ll be because I actually have lemons that need squeezing. Without any new tasks to do, it doesn’t matter what fleeting incentives the Feds dream up. Hiring requires productive tasks. Productivity requires certainty, investment and capital. Employers want to know what healthcare costs, regulations and taxes will look like in five years. That means dramatically simplifying the tax code, not writing in more special preferences like vacillating payroll taxes. Another faulty move is the AJA’s “teacher stabilization,” which modernizes school buildings and insists on maintaining current teacher salaries. This is a hearty nod to the teachers unions, but makes no effort to seriously correct the ongoing inefficient, substandard performance of our public education program. There’s a whole generation of young, unemployed graduates with education degrees out there. Essentially, teacher stabilization protects one vanguard of tenured high school math teachers against a wave of incoming competitive geometry instructors. Perhaps the best rendition of the Pythagorean theorem comes with age, but I have no idea how that’s supposed to benefit the American economy. Then there’s the bill’s anti-discrimination component, which makes it illegal for employers and employment agencies to ask applicants to demonstrate they currently hold a position. Regardless of what the federal statute says, most employers are not going to run an interviewee’s employment history through the paper shredder. Employers understand that the job market has been rotten and take this into consideration. But if an employer is going to be prevented from properly vetting job candidates in the name of federal even-handedness, he might opt not to hire at all. Alas, Warren Buffet may feel like the cool tycoon on the block after getting a tax proposal for millionaires named after him. Conservatives need to call his bluff. All of this “I-pay-less-than-my-secretary” rhetoric has prompted many Americans to clamor for fairness. Yet comparing an office assistant’s income tax to Buffet’s capital gains tax is patently deceptive. Talk about apples and oranges. If we really valued fairness, perhaps we’d opt for a flat tax, but the chances of that happening anytime soon is about the same as my acing quantum mechanics. In all, the wealthy already pay far more in taxes. The CBOreports that the top 10 percent of earners account for 70% of all federal taxes, while the bottom half of earners pay no income tax at all. This year, households topping a million dollars a year will hand 30% of their income to the federal government’s outstretched hands. 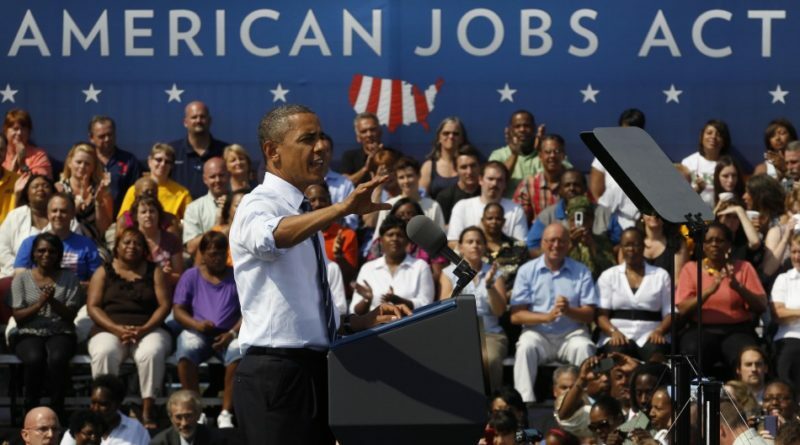 The American Jobs Act is not designed to salvage jobs at all — least of all, President Obama’s. Danielle is a sophomore. You can reach her at dcharette1@swarthmore.edu.